YoYoExpert Blog & Yo-Yo News – Draupnir, POM Draupnir, & Sigtyr! Draupnir, POM Draupnir, & Sigtyr! Over the past few years the Draupnir has held strong as one of top performing yo-yo designs on the market. Its lightweight feel, crazy stability, and unbelievable speed make it a popular choice among competitive yo-yo players. Now Yoyorecreation wants to bring that same performance to a more affordable plastic model – This is the POM Draupnir! 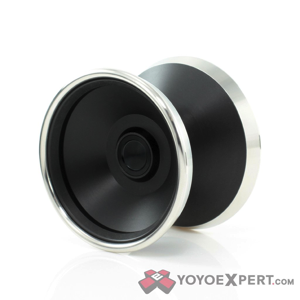 The POM Draupnir is a precision machined plastic yo-yo fitted with Stainless Steel rims. It has the same shape and dimensions as the original Draupnir and weighs in about 1 gram heavier. The lightweight POM body paired with the dense steel rims gives the POM Draupnir a really similar feel in play as the original. It has a little more of a solid presence on the string and a slightly heavier feel in play, but the spin power and stability is right on par with its metal counterpart. The POM Draupnir offers excellent spin time and performance that is hard to find in a hybrid plastic design. Fitted with an aluminum hub and a Konkave Bearing, the POM Draupnir is competition ready right out of the box! The Draupnir is a precision machined b-metal design with a 7075 aluminum body and Stainless Steel Rims. 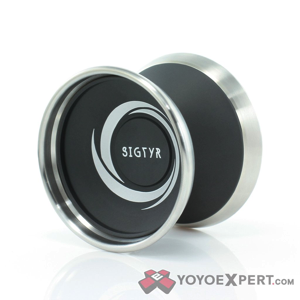 With the rims composed of a denser metal Yoyorecreation is able to maximize rim weight without adding bulky rims. This gives the yo-yo unbelievable spin time and stability while still maintaining a low overall weight which greatly improves speed and maneuverability. Fitted with IrPad Response and an NSK DS Bearing, the Draupnir is competition ready right out of the box! Light weight, long spinning, and rock stable, the Draupnir is the perfect yo-yo for any style! At first glance the Draupnir and Sigtyr are pretty similar, but when you look closely you can see the key differences that sets the Sigtyr apart and really gives it a different feel on the string. 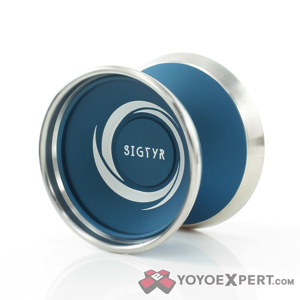 The Sigtyr is around 2 grams heavier and that weight is entirely focused in the rims. They made the steel rings broader, rounder, and if you look at the inner cup you’ll see just how much farther they protrude from the aluminum. This is where the Sigtyr really outshines the Draupnir – The incredible stability and spin power, not to mention a more comfortable feel in the hand! Despite being 2 grams heavier than it’s predecessor, the Sigtyr doesn’t have a really heavy feel on the string at all. It plays fast, nimble, and holds spin through any combo, even off plane tricks!